True stories of Californians that DUI Lawyer Jon Bryant Artz kept driving and out of jail. 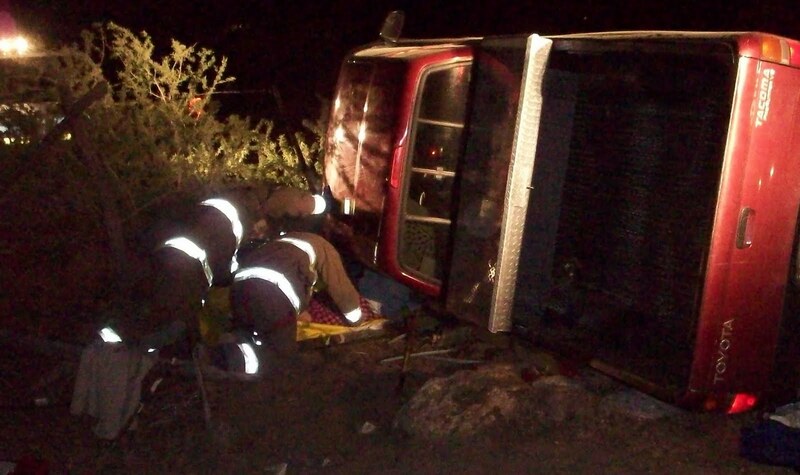 A young man was leaving a private club in Malibu when he rolled his truck and hit a wall on Mulholland Drive. The man was airlifted to a nearby hospital, where a PAS breath test and blood test were taken — almost two hours after the solo accident had occurred. The man’s BAC levels (.11% and .14%, respectively) were above the limit of .08%. Needless to say, these were “terrible facts” for a Los Angeles DUI case, and the cards were stacked against him. Los Angeles DUI Attorney Jon Artz subpoenaed the Fire Department paramedic and the CHP cop who had arrived on the scene 20 minutes and 40 minutes (respectively) after the accident. He also subpoenaed the bartender at the private golf club. Jon Artz interviewed them at three separate DMV hearings. Jon Artz’ client was ecstatic. The CHP officer’s original report listed “staggered gait” (stumbling while walking) as evidence of the defendant’s alcohol impairment, yet the officer only observed the driver on an ambulance gurney, and later at the hospital. This is the conversation between DUI lawyer Jon Artz and the CHP officer. Artz: You claim there was staggered gait in your sworn statement, right? Artz: You never saw him walking, right? Artz: Can you tell me what the staggered gait was? CHP: (hems and haws, then finally) Well, it was the way he was moving his feet around in the bed. A young nurse was arrested in West Covina, CA for Driving Under the Influence (DUI). A preliminary alcohol screening test showed her blood alcohol content (BAC) level at .15%, .15%. The nurse allegedly refused to take a chemical test at the sheriff’s station. As one of the most skills DUI lawyers in Los Angeles, Jon Artz knew just what to do. He subpoenaed the officer to the DMV, and was able to get the officer to admit that, only after the breath test result showed “insufficient sampling” did he ask her if she would take a blood test. The DMV held in favor of the nurse (licensee) and the nurse’s driver’s license suspension was set aside. Jon Artz used the DMV tape of the officer to erode the prosecution’s case, including the officer’s credibility, and settled the DUI case for a reduced charge of reckless driving with a $90 fine. Its cases like this that set Jon Artz apart from other DUI attorneys in Los Angeles. A successful entrepreneur was arrested in Newport Beach for possession of cocaine, and charged with DUI. A blood test showed .15% blood alcohol level. After filing motions and working with the client for rehabilitation and recovery, the court dismissed the “possession of cocaine” felony charge and the charge of intoxication. As the client’s DUI attorney, Jon Artz was able to plead the client to a single misdemeanor reduced charge. The client got his driver’s license back because Jon won the DMV hearing. A successful businessman was referred to Jon’s office by his civil attorney. He had two prior charges in the LAX Airport court of driving on a suspended license, one from Santa Monica in Department 147 and one from LAPD in Department 141 (in which he had bench warranted). Los Angeles DUI lawyer Jon Artz developed a strategy, filed proof of declaration, and notified the courts that his client had a license from another state, resulting in both cases being terminated with infractions. The Santa Monica case was reduced to a cell phone violation (the underlying citation) and the LAPD case was reduced to an infraction of having no license in his possession. A client was arrested for felony DUI, and the DMV alleged that he refused to submit to a blood alcohol test. He was taken to the police station where two Sheriffs had the client take a breath test, which came back with “insufficient results.” The first Deputy Sheriff alleged the client then refused a blood test. Jon Artz subpoenaed the second Deputy Sheriff to the DMV hearing and was able to prove from the second Deputy’s testimony that the client did not refuse the chemical test. Due to his mastery of cross-examination techniques, Jon Artz was able to save his client from a 3-year revocation of his license – despite the fact that the client had two prior DUI convictions! D.M. West Covina – LA Superior Court Traffic Accident Blood test = .24% Not Guilty of DUI, Not Guilty of driving with a bac of .08% or higher Case DismissedDMV victory. T.B. Malibu – LA Superior Court Traffic Accident, Marijuana Suspicion. .09% blood test. Reduced to V.C. 23109(c), Exhibition of Speed. DMV Victory. C.B. Airport – LA Superior Court Car squealed as it turned onto PCH from Sunset at 3:15 am. .09% breath test. Reduced to V.C. 23109(c), exhibition of speed. J.L. Malibu – LA Superior Court Felony DUI with injury to a LA County Sheriff’s Officer. Refused PAS Test. .08% blood test. Reduced to Misdemeanor V.C. 23152(b). No Jail time. No Loss of License. P.P. Beverly Hills – LA Superior Court Felony DUI with accident causing serious physical injuries. .38% blood test = .38% + showed Cocaine. Reduced to Misdemeanor V.C. 23152(b). No Jail time. R.P. Van Nuys – LA Superior Court Cell phone use while driving and .08%, PAS test and breath test. Reduced to non-moving cell phone violation with a $20 fine. M.A. Metropolitan – LA Superior Court Drifting across lanes at 3am. .09% PAS test, .08%/.08% breath test. Prior Conviction for DUI + Other Criminal History Reduced to exhibition of speed. No Alcohol Program. T.L. Airport – LA Superior Court Speeding and Weaving. .09% PAS test, .09% blood test. Not Guilty of DUI, Not Guilty of driving with BAC of .08 or higher. Case Dismissed. DMV Victory. J.K. San Luis Obispo – Superior Court Bad Driving. .20% PAS test. .19%, .18% breath test. Prior Convictions. Prior Convictions declared unconstitutional. “Helmandollar” Acquittal. Set Aside DMV Suspension. S.K. Airport – LA Superior Court Weaving at 4:17am. .10%, .09% PAS test. .09%, .10% breath test. Reduced to 1 point exhibition of speed. C.K. Metropolitan – LA Superior Court Erratic Driving. .08%, .09% PAS test. .09%, .10% breath test. Reduced to 1 point exhibition of speed. No Alcohol program.